Whether they are called hall bench, time out bench or boot bench, hall bench plans are great casual seating for almost any room in the house. 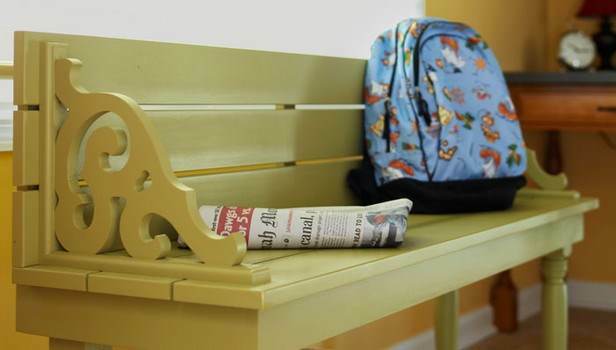 In a foyer or enclosed porch, a bench is indispensible for removing or putting on shoes and boots. Little ones may need a place to cool down when things get too frantic, so a time out bench is perfect for the family room. A casual bench in the family's game room is also great to add additional seating when the gang comes to hang out. Choose elegant hall bench plans that include a mirror and coat rack for a formal hallway, or select an early American style that features a charming heart cutout along the back. Style and function blend together in a simple piece of furniture that every home will appreciate. 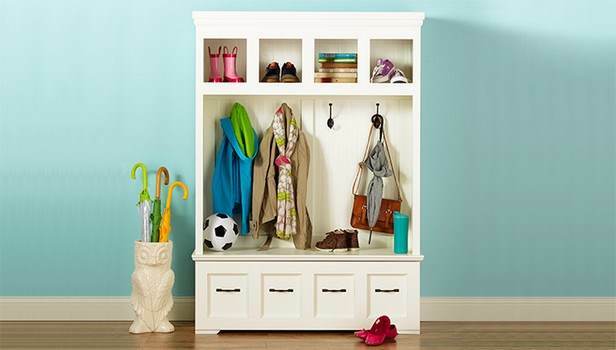 Build this mudroom bench for a place to park those sloppy wet-weather garments and boots. Your family will love it. Over the weekend, build this beautiful hall bench inspired by Ukrainian immigrants to Canada from 1891 to the beginning of World War One, originally built by the folks that settled western Canada. 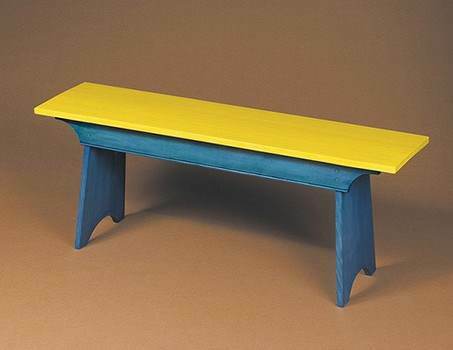 A few hours in the shop and a trip to your favorite builder's supply, will give you this beautiful bench. 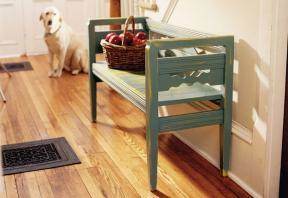 Keep the hallway or mudroom neat and clean with this hideaway bench. The lid opens to a handy storage area. Turn the mess into a cleverly organized area that says welcome to your family and guests. If you are into simplicity, here is your next project. It's a simple design that shouts elegance, whether painted, stained, or varnished. When you tell folks the price of this fine piece of furniture, they won't believe you. They will be even more surprised when you tell them it only took you a couple of weekends to knock it together. 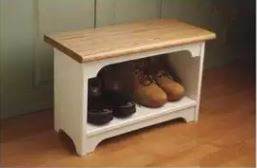 Build this attractive boot bench for a place to sit and take off your boots and then store them in the area below. Great for mud room or entry hall. Here is a fun project for a lovely heart bench that looks great in a little girl's room, bath, hallway or wherever it best fits in your home. 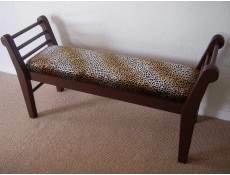 This attractive wooden bench has a padded seat and is normally placed at the end of a bed or in an entryhall or hallway. 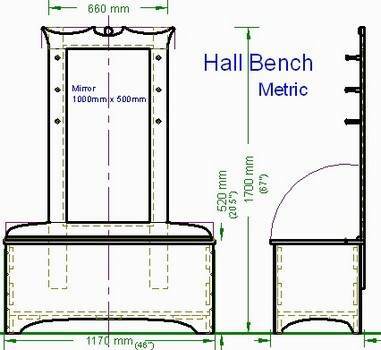 Build this handsome hall bench with coat rack, mirror and extra storage under the bench seat. 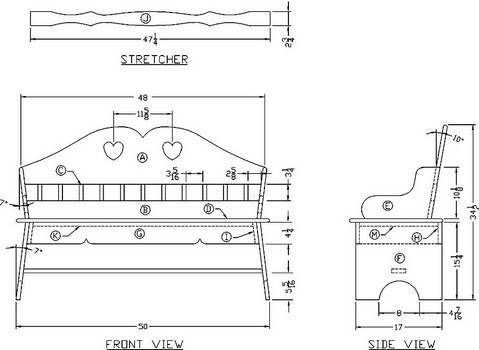 Here are instructions for building a simple bench that seats three adults and works great for additional seating inside or out. 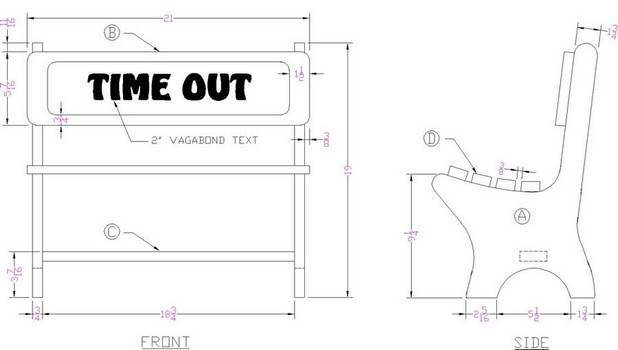 Easy to follow plan for building a time out bench to be placed facing a corner for kids to sit during their time out.